Already signed this one! Thanks, Cal! noted, already took aciton at Nov. 20th. 2015; Thank you Cal! The Huge International CAPITALIST CORPORATIONS are POISONING THE PLANET - they should ALL be DISBANDED as being CONTRARY TO THE PUBLIC GOOD - and SERVING NO PURPOSE FOR ANY GOOD AT ALL. ONLY for the Filthy Private Profit$$$ of a very, very, very Few at the Top! DIS-BAND Corporate Capitalism in order to SAVE THE PLANET and its Life Forms. Noted. Already signed. Thanks Cal. I had signed--but noted---ty Cal. "I'm pleased to confirm that the last time we sold Roundup was in January this year. We're committed to protecting our pollinators and after careful consideration decided to remove this product from our business. 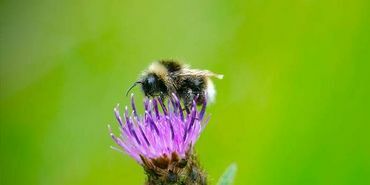 For some more information on our commitment to protecting our bee population, please visit waitrose.com/bees"